Lucinda Williams recently sat down with Jessie Scott to talk about the 20th anniversary of her groundbreaking album ‘Car Wheels On A Gravel Road’. Williams is touring with her band in celebration of the 20 years of the songs like “Jackson” and “Drunken Angel” which she played and recorded for a session at Colin Linden’s Nashville studio. 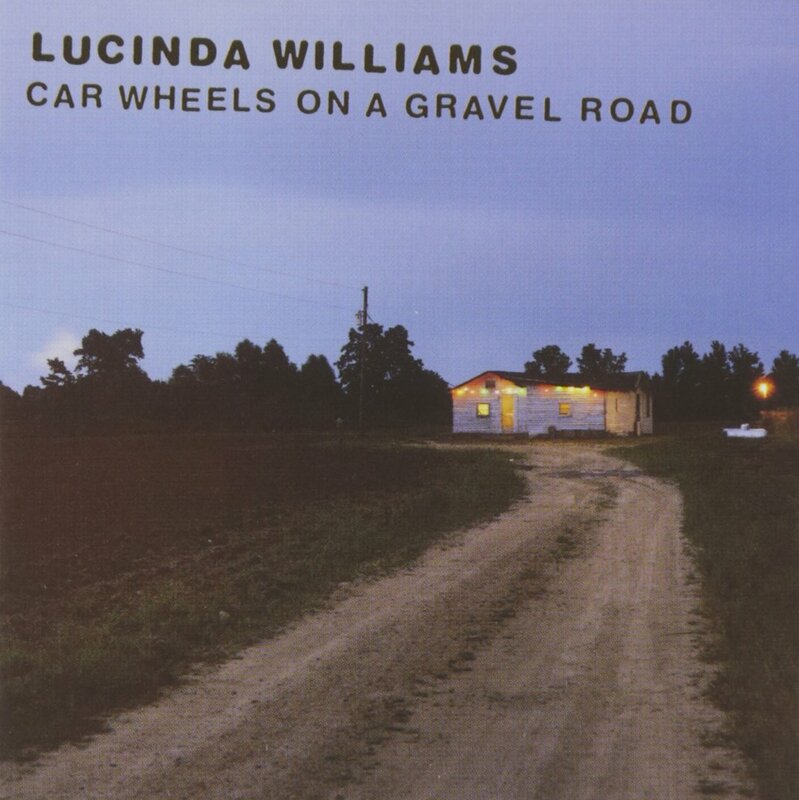 It was her fifth studio album by the singer-songwriter Lucinda Williams. It was recorded and co-produced by Williams in Nashville, Tennessee and Canoga Park, California, before being released on June 30th, 1998, by Mercury Records. The album features guest appearances by Steve Earle and Emmylou Harris. It was Willams’ first album to go gold, She also won a Grammy Award for Best Contemporary Folk Album, and received a nomination for Best Female Rock Vocal Performance for the single “Can’t Let Go”. Lucinda Williams makes this whole music thing seem so simple: Write in plain language about the people and places that crowd your memory; add subtle flavors of a mandolin here, a Dobro there, perhaps an accordion or slide guitar; above all, sing as honestly and naturally as you can. Of course, it took her six years to achieve this simplicity, an amazing achievement considering the number of knobs that were turned. Her exquisite voice moans and groans and slips and slides–she delivers a polished tone in a coarse manner. On the superb “Concrete and Barbed Wire”, soft acoustic guitars are punctuated by electric slide, accordion, mandolin, and Steve Earle’s harmony. Williams’s deeply personal stories are matched with bluesy rumbles, raunchy grooves, and plaintive whispers. The entire Deep South is reduced to a sleepy small town filled with ex-lovers, dive bars, and endless gravel roads. It isn’t surprising that Lucinda Williams‘ level of craft takes time to assemble, but the six-year wait between “Sweet Old World” and its 1998 follow-up, “Car Wheels on a Gravel Road”, still raised eyebrows. The delay stemmed both from label difficulties and Williams‘ meticulous perfectionism, the latter reportedly over a too-produced sound and her own vocals. Listening to the record, one can understand why both might have concerned Williams. Car Wheels is far and away her most produced album to date, which is something of a mixed blessing. Its surfaces are clean and contemporary, with something in the timbres of the instruments (especially the drums) sounding extremely typical of a late-’90s major-label roots-rock album. While that might subtly alter the timeless qualities of Williams‘ writing, there’s also no denying that her sound is punchier and livelier. The production also throws Williams‘ idiosyncratic voice into sharp relief, to the point where it’s noticeably separate from the band. As a result, every inflection and slight tonal alteration is captured, and it would hardly be surprising if Williams did obsess over those small details. But whether or not you miss the earthiness of Car Wheels‘ predecessors, it’s ultimately the material that matters, and Williams‘ songwriting is as captivating as ever. Intentionally or not, the album’s common thread seems to be its strongly grounded sense of place — specifically, the Deep South, conveyed through images and numerous references to specific towns. Many songs are set, in some way, in the middle or aftermath of not-quite-resolved love affairs, as Williams meditates on the complexities of human passion.